The Print and Image Archive consists of a vast collection of individual prints, plus periodicals containing a raft of illustrations, predominantly by Harrison Weir. The individual prints are catalogued by subject matter and date while the periodicals are catalogued by name and then date. All of the images are scanned electronically and cross-referenced for easy retrieval. 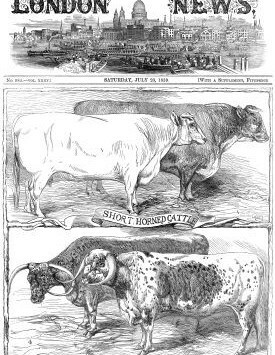 In many instances, Harrison’s images have been reproduced in more than one publication, and sometimes with variation. Where possible these duplications and any modifications to name, or image duly noted. A large number of the images that populate our image database, come directly from these publications, while secondary images are resourced from individual 19th century periodical prints and book plates, often that have been sourced from sellers who have taken them from “breakers”, (old publications that have been broken down and divided for resale). These individual prints and book plates are stored in both a physical and electronic archive. As with The Library,it is our preference to obtain the images or book plates “in situ”, as this provides essential provenance and often a context that is not wholly apparent when sold separately. Often the original books contain advertising and relevant material notes about both the publisher and author, that have a bearing on the stories behind the images themselves. The Archive is added to on a daily and weekly basis, as we search for specific material. From time to time we will use this page to advise readers and followers of the work of Harrison Weir, of new or recent acquisitions or donations to the Archive and whether any of the images have been rendered available as prints in our themed Galleries. Of course, not all works are necessarily suitable for reproduction as prints, but may be useful to illustrate a point in a given project. It is our sincere hope that in time, we will be able to offer a downloadable resource of rare but usable images from a new electronic archive, in the fullness of time. 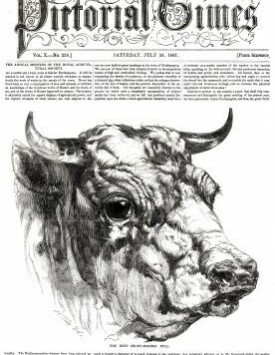 A very early front page from The Pictorial Times, featuring in this instance, a very detailed study of a prize-winning Short-Horn Bull, drawn by a very young Harrison Weir, who would have been only 23 at the time. 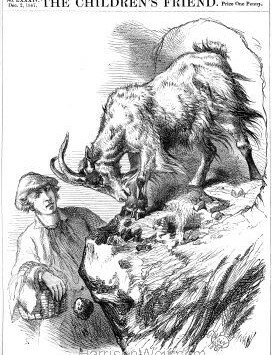 A Front Page illustration for The Animal World, by Harrison Weir. This monthly advocate of Humanity was the media vehicle for the RSPCA and Harrison was always active in providing images and attended their meetings, sometimes giving speeches. 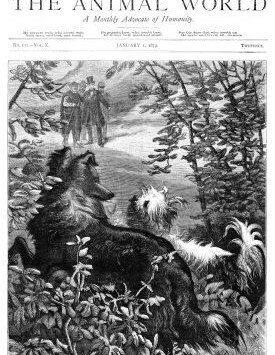 Ever mindful of the need to educate young minds on the necessity for kind treatment of animals, Harrison was often called upon to provide illustrations for Children’s publications, this one being “The Prize” for which he provided many covers both in Colour and Black and White. Both Vere Foster and Dr Barnardo, called upon Harrison to illustrate for their respective educational series of Children’s publications. 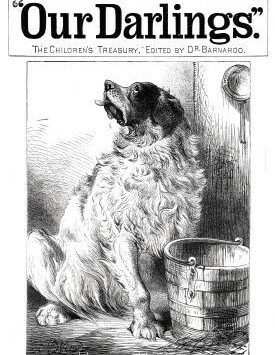 In this case we have a cover from “Our Darlings”, (Dr Barnardo) ,which often featured illustrations from other publications. Cover plate from “The Children’s Friend” a monthly Christian publication that was in turn reprinted as a Bi-Annual. 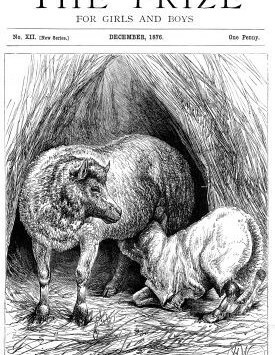 Both “The Children’s Friend” and “The Family Friend” would regularly feature animal related works by Harrison Weir.